My Cluttered Corner: Scrapbook Circle Anniversary Blog Hop! 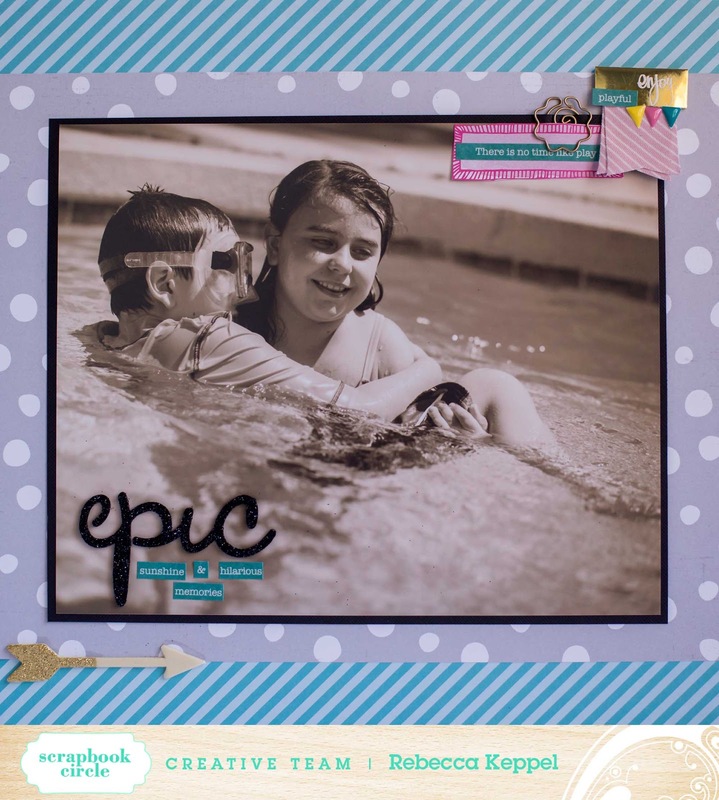 Scrapbook Circle Anniversary Blog Hop! This month we are celebrating Scrapbook Circle's 9th Anniversary! 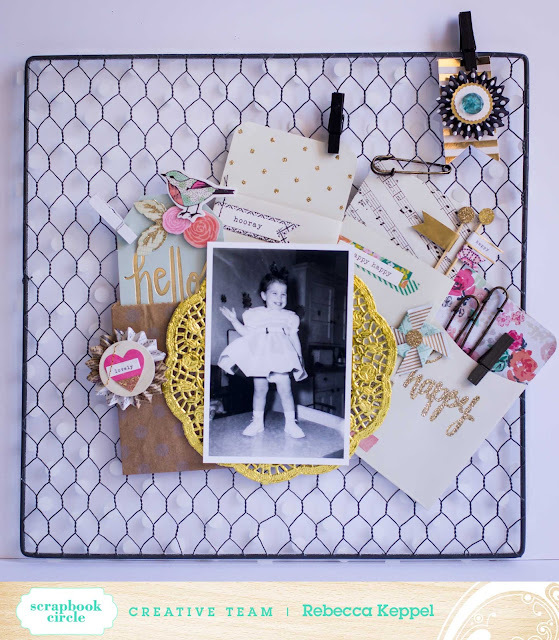 To celebrate, this week we are doing a blog hop around to our design team members' blogs to showcase some of the fun things we have created with the May Hello Sunshine Kit. The hop starts at the Scrapbook Circle blog. Comment along your way while visiting our team members' blogs. Each comment will be one entry in a random drawing where we will be giving away FIVE May Hello Sunshine Kits. Here is a layout I made with Hello Sunshine! I don't do a lot of DIY decor type projects, so I loved I that everything I needed to make this cute project was included in the kit! We hope you feel inspired today! Next stop on the hop is the fabulously talented Audrey Yeager! **Comments close at midnight PST on May 21. We will post the winners on the Scrapbook Circle blog on May 22. Love the big photo!! Your project is amazing!! Your DIY projects is awesome and I too love that you used a large photo on your layout!! Love that you used such a big photo on your page, looks awesome. What a fun DIY kit!! happy anniversary SB Circle! Love your LO, the large photo and the paper the colours of water is perfect together! I too love the big (non-color) photo! Looks like a super kit (I lurked around at your other layouts with all the circles too)! I just love the project yoy made on that screen (it's a photo display I think? Haha). You have definitely inspired me to make one of my own. So pretty. Wow....I love your creations! That photo holder on the chicken wire is awesome and I absolutely LOVE your cluster in the upper right hand corner of your layout. Love that big photo layout! I really like layouts with a big photo on them. Um, hello... You should totally do more of diy type decor projects!! That's fabulous. love your large photo on your page and your altered wire! Love the large photo! Both of these are fabulous! How fun! Love the embellie clusters. Fabulous LO with that big photo!! Love that big photo and the clean design! Nicely done. the big photo is so striking! and i love the decor item as well. Love that big photo and the cluster of elements in the corner. I really love that decorative piece too! Love the use of the big photo! So awesome and eye catching! amazing projects and LOVE seeing the large photo in action!!! Love the large photo and the minimal embellishing. What size photo did you use?